We’d love your help. Let us know what’s wrong with this preview of Rise of the Sidenah by Colleen M. Story. Adrienna Vedica longs to build the creatures living in her imagination. One day, she hopes to sculpt them out of stone, creating great statues like those that guard the Celany village. She doesn’t understand why everyone seems to disapprove. It’ This book is no longer available. It’s only when Tishaan, a powerful man in the high council, agrees to help her sculpt that Adrienna is finally able to pursue her passion. She dives into her work, but creates with such energy she collapses from exhaustion before seeing the final results, giving Tishaan time to hide her masterpieces away. Her mentor, Sreng—the man she secretly loves—tries to convince her that Tishaan is using her, but she can’t abandon her art. Only when people start showing up dead does she think again. There’s something off about Tishaan…and then Sreng shows her one of her early works. 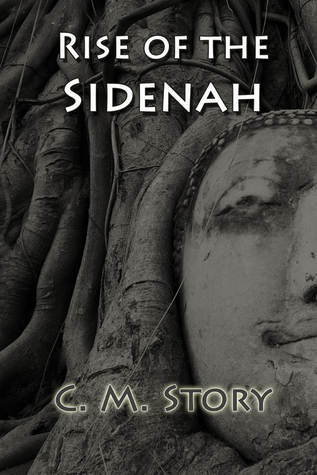 To ask other readers questions about Rise of the Sidenah, please sign up. What's Good: A multi-layered story with lots of characters, an interesting magic system. What's Bad: Being thrust into the middle of events with no real context for events and character dynamics and relationships. Things feel rushed because you don't really know what's going on and are always trying to catch up. Mostly because the history, culture, magical systems and powers of the Sidenah are never fully explained or explored. The reader is left to infer/guess at a lot of things. A good chunk of What's Good: A multi-layered story with lots of characters, an interesting magic system. What's Bad: Being thrust into the middle of events with no real context for events and character dynamics and relationships. Things feel rushed because you don't really know what's going on and are always trying to catch up. Mostly because the history, culture, magical systems and powers of the Sidenah are never fully explained or explored. The reader is left to infer/guess at a lot of things. A good chunk of the plot revolves around exactly who knows what Adrienna is (most everyone) and can do, and keeping this from her while trying to manipulate her for their own ends. Adrienna has always dreamed of becoming a sculpture, but the people in her life and those around her have always disapproved of the idea. "Rise of the Sidenah" is one of the most frustrating of books I have ever read. The foundation of the story is a great idea, however it has, in my opinion, been poorly executed. The story dives right in to the action and with poor world-building it leaves us with an incomplete back-story and a feeling of always playing catch-up, especially when it comes to the characters and the setting. For example; who are the Celany’s? What gives them the right to rule over the natives the Penkarrianns? It’s only when you reach the novel’s closing chapters do you start getting the back-drop and the reasons for the situations Adrienna finds herself in. This though didn’t satisfying my need for information. The magic system is also interesting, but like the dynamic between races, it is all left hanging over your head expecting you to already know what this is and how it works. It’s like taking an exam you haven’t been allowed to study for. The violence is brutal, but the set-pieces lack variety. The land is a puzzle, rocky canyons right next to lush prairie right next to closeted woods. All very convenient. Adrienna herself is a frustrating, though a believable character. She is strong and wilful, whilst at the same time vain and selfish. Very human and so un-heroic like. She is however importantly given room to grow throughout. Tishann and Sreng have an interesting dynamic which appears to come from lack of planning and is a secondary, reactive relationship to the novels situation’s rather than a relationship that has grown with ebbs and flows. Somewhere in here there is a good novel trying to get out. This, in its current edition, is not it.